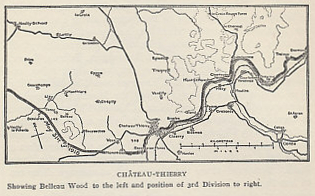 Map of the Marne front line on May 31, 1918 from Belleau Wood to Dormans, where the French and Americans stopped the German advance of 1918. From The History of The A.E.F. by Shipley Thomas. 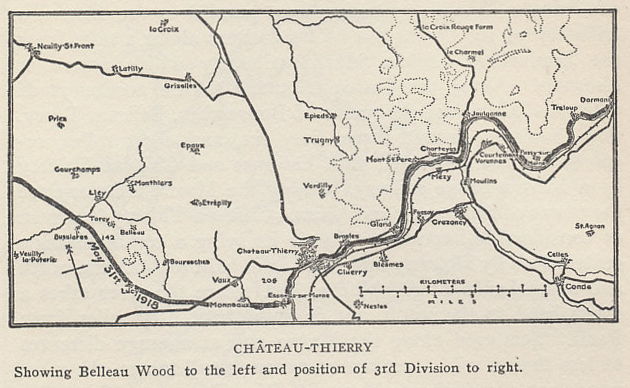 Showing Belleau Wood to the left and position of 3rd Division to the right.